Welcome to the archive of the 2008 Summer Science Exhibition. In July 2008, several thousand visitors enjoyed twenty-three science exhibits, two art exhibits and two history of science exhibits over four days, at the Royal Society's offices in central London. Back to the Big Bang? At the Large Hadron Collider - The Science and Technology Facilities Council in partnership with the UK’s Particle Physics research community. 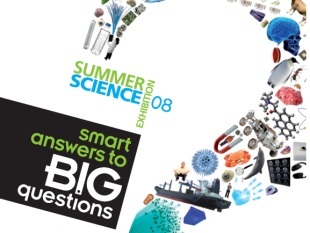 The Royal Society's annual Summer Science Exhibition offers a fantastic opportunity to discover the best of the UK's science and technology research.